What is IV ketamine infusion? Akash Bajaj, MD, MPH Blog What is IV ketamine infusion? Ketamine Infusions are now part of an exciting & emerging pain management therapy administered by our pain specialist Dr. Bajaj in Los Angeles that may be able to help (thinkrps.com) your chronic pain no responsive to traditional therapies. The National Institute of Health recommends Ketamine as of February 2015 as a viable treatment for chronic pain. If you suffer from chronic pain including but not limited to lower back pain, fibromyalgia, complex regional pain syndrome not well controlled my medication, you may be a candidate for IV ketamine infusion. What is IV ketamine infusion? It is an analgesic medication that has pain relieving properties that is performed by our pain specialist Dr. Bajaj in Los Angeles (thinkrps.com). It was invented in the 1960s for use in anesthesia, but is now also used for a variety of pain relief used to counter postoperative pain in patients that have increased sensitivity to pain, and pain caused by stimuli that are not usually painful. 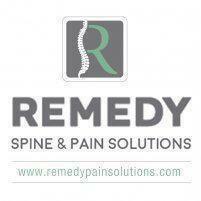 If you are interested in innovative approaches to pain management, make an appointment with Dr. Bajaj at Remedy Spine & Pain Solutions in our Los Angeles office for a consultation about your condition and if IV ketamine infusion might help you or visit (thinkrps.com).